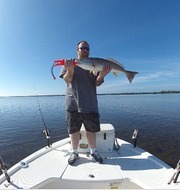 Cape Coral Fishing - The fishing in Florida is some of the best fishing in the world, so book your trip now! To book a charter through Fishingbooker, just scroll down a bit more. We have everything from deep sea fishing to freshwater canals, and everything in between, so rent a charter or bring your own boat. Fishing is particularly good in our part of Southwest Florida, which has plenty of freshwater and saltwater fishing options. Cape Coral has such great fishing because we are surrounded by the Caloosahatchee River on one side and Matlacha Pass on the other. These estuary waters are protected by a mangrove preserve bordering the Cape, which creates a perfect habitat for all kinds of fish. Beyond these waters are the barrier islands of Sanibel and Captiva is the Gulf of Mexico and, of course, deep sea fishing. 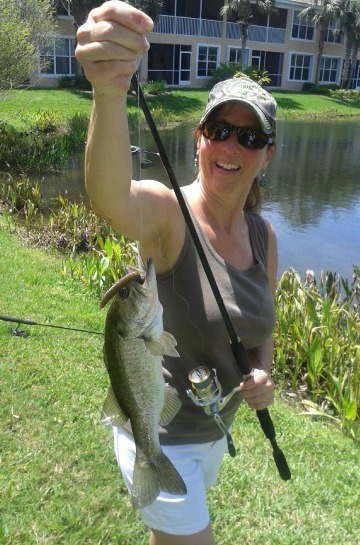 For freshwater fishing in lakes and canals, Cape Coral has bass and panfish. And, you will find that there are largemouth bass, bream, bluegill, and black crappie in the Caloosahatchee River. For saltwater fishing, try back-water and shallow-water, also called inshore fishing or flats fishing, for up to 9 miles from the shore along miles and miles of shoreline in bays, estuaries, and tidal creeks ......... or offshore or deep sea fishing 9+ miles out. Inshore fishing: Cape Coral has redfish, trout, bass, tarpon, snook, snapper, Spanish mackerel, grouper, tripletail, sheepshead, and more. Offshore fishing: Grouper, snapper, kingfish, cobia, tuna, amberjack, Spanish mackerel, shark, barracuda, tarpon, mahi, wahoo, and giant red fish. Each year thousands of anglers come to Florida to catch a grand slam ............... one of each of Florida's most sought-after gamefish: snook, redfish, spotted sea trout, and tarpon. To find out more about Southwest Florida's favorite fish, go to my Best Fishing page to learn about tarpon, snook, redfish, and grouper. 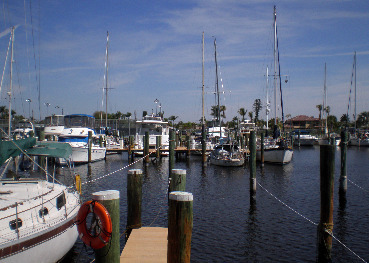 For fishing charters Cape Coral has several guides listed on Fishingbooker, an online charter service. 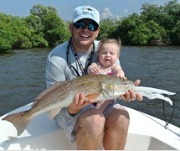 Private Cape Coral fishing charters for up to 4 passengers, children welcome. Captain RJ Hagewood will clean, fillet, and bag your catch. Fish: Grouper, Tarpon, Snook, Redfish, Snapper, and more. Amenities: 24’ custom boat, navigational and fish finding equipment, GPS, radio, Fishfinder, fighting chair, ice box ...... plus rods, reels, tackle, bait, license, insurance, and more. Fishing Techniques: light tackle, bottom fishing, jigging, popping, etc. 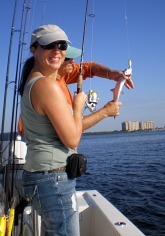 Private Cape Coral fishing charters for up to 4 passengers, children welcome. Captain Douglas Padgett will clean and bag your catch. 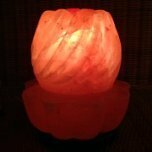 Fish: Snook, Redfish, Cobia, Tarpon, Snapper, Grouper, Goliath Grouper, various shark species, and more. Amenities: 20' boat, standard navigational electronics, GPS and Fishfinder ...... plus rods, reels, tackle, bait, license, and insurance, and more. Fishing Techniques: Light tackle and fly fishing. Cape Coral fishing charters for up to 6 passengers, parked at Tarpon Point Marina, other pick-up points available, children welcome. Captain Craig Best will clean and fillet your catch, or you can have it cooked at Pinchers Crab Shack. Amenities: 32' boat, toilet, GPS, Fishfinder, radio ........ plus tackle, bait, life jackets, license, insurance, and more. Fishing techniques: deep sea and bottom fishing. 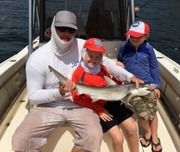 Private Cape Coral fishing charters for up to 4 passengers, children welcome. Captain Mickey Honas has 35+ years of SWFL fishing experience. Fish: Trout, Snook, Tarpon, Redfish, Grouper, Permit, Sharks, and Snapper. Amenities: 22' boat, radio, GPS, Fishfinder ........ plus rods, reels, tackle, life jackets, license, insurance, and more. Fishing Techniques: Light tackle and bottom fishing. 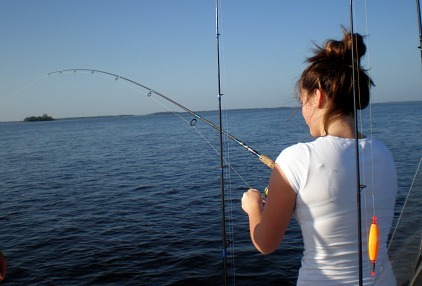 Private Cape Coral fishing charters for up to 5 passengers, children welcome. Captain David Menist will clean and fillet your catch, he's proud to call himself a fishing nerd! Amenities: 23' Boat, Radio, GPS, Fishfinder, multimedia system, ice box ...... plus rods, reels, fly fishing equipment, tackle, life jackets, license, insurance, and more. Fishing Techniques: Light tackle, fly, bottom, popping, jigging. 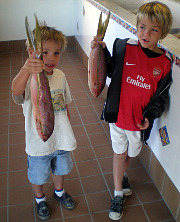 Private Cape Coral fishing and diving charters for up to 4 persons, children welcome. Captain Steve Herndon will clean and fillet your catch. Main launch location is Pineland Marina on Pine Island, dive location is the 165' World War 2 US Coast Guard Cutter USCGC Mohawk, located 28 miles west of Redfish Pass, in 90' of water. 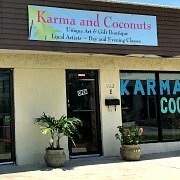 Other locations available. Fish: Goliath Grouper, Amber Jacks ....... see Sea Turtles. Rays, and more. Amenities: 24' boat, toilet, radio, GPS, Fishfinder, First Mate, First Aid, bed, and more. Fishing Techniques: spear fishing. Divers must bring or rent their own diving gear. Advanced Diving Certification may be required for certain locations. 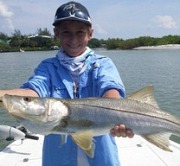 Private Cape Coral fishing charters for up to 2 - 3 passengers, children welcome. Captain Jim Conant will clean and fillet your catch, he has devoted numerous hours to Wounded Warriors. Fish: Redfish, Snook, Mangrove Snapper, Spotted Sea Trout, Gag Grouper, Sharks, Stingrays, Puffer Fish, Ladyfish, Spanish Mackerel, Pompano, and Jack Crevalle. Amenities: 19' boat, GPS, Fishfinder, radio ...... plus life jackets, rods, reels, tackle, bait, drinking water, lunch, license, insurance, and more. 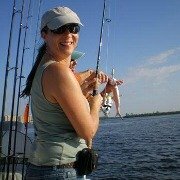 Fishing Techniques: Fly fishing, light tackle, bottom fishing, jigging, popping. 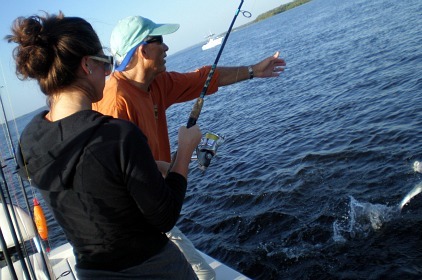 Private Cape Coral fishing charters for up to 4 passengers, children welcome. Captain Jason Miller has 20+ years of experience, and will clean and fillet your catch. 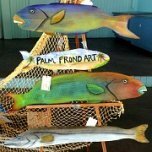 Fish: Trout, Redfish, Snook, Tarpon, Grouper, Snapper, Sharks and more. Amenities: 21' boat, GPS, radio, Fishfinder, ice box, beverages ..... plus rods, reels, tackle, life jackets, license, insurance, and more. Fishing Techniques: Light tackle, fly fishing. When we went fishing, we used Venture Out - also here in the Cape - for flats fishing. They also offer inshore/offshore and backwater fishing, eco tours, custom charters, water taxi services; sunset, lunch/dinner, and sight-seeing excursions. Our fishing guide was Captain Gary Jenkins, I thought he was terrific! He sometimes affiliates with a charter service and sometimes charters on his own. Either way, you can contact him directly on my Cape Coral Fishing Charters page. Although fishing is great year round in SW Florida, make sure you ask your fishing guide which months are best to fish particular fish. In general, the warmer months are better because fish become somewhat dormant in colder waters, and there are definite seasons for certain fish. We went fishing in November when the weather is usually in the low 80's and caught ladyfish, sea trout, Spanish mackerel, and I even caught a puffer fish. Some items you should bring on your Cape Coral fishing trip are: sunscreen, a hat, sunglasses, a camera, snacks, and beverages are a must. You may also want to bring light rain gear and shoes that can get wet. Coolers are on board. Another idea is to fish from an airboat. You can get into shallow areas that a regular boat can't get into for some really terrific fishing. 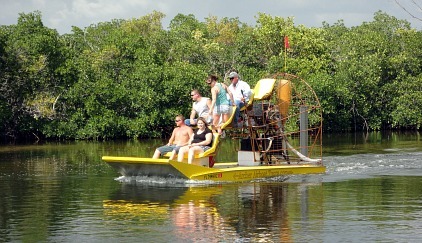 You don't even have to go all the ways to the Everglades, just go to Archer's Airboat Tours Florida over in Matlacha. A less expensive option for fishing is to go on a head boat, or party boat, which are at Ft Myers Beach. This is great for inexperienced anglers. Head boats typically charge $20-$40 for a half-day, and $50 and over for a full day for 10-100 people on one excursion. The fees include bait, license, and equipment rental. Some head boats take reservations, and some are first come first serve. Either way, it makes to sense get there early so that you can get a prime spot. Be aware that there is a problem with fishing lines getting tangled on these trips, so try to get a spot from the stern. Bring cash for tips for the crew, bungee cords for your gear, and a towel for slimy hands. To give fishing from Head Boats a try ...... you'll need to go to Ft Myers Beach. Practice effective catch-and-release of fish that are unwanted or prohibited to retain. Don’t pollute; Recycle and dispose of trash. Practice safe angling and boating, including hook awareness and use of personal flotation devices (PFDs). Learn and obey fishing and boating rules and regulations, and purchase the appropriate licenses. Respect other anglers’ and boaters’ rights. Respect property owners’ rights and do not trespass. Share fishing knowledge and skills with others. Don’t release live bait into waters or spread exotic plants and fish. Promote ethical sport fishing and encourage others to do the same while out on the water. 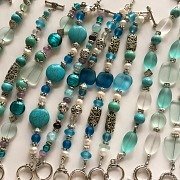 I'd like to give a you couple of links. 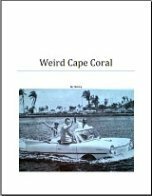 The first one is my webpage that lists Cape Coral boat ramp locations. You may need to get a fishing license. This link sends you to where you can get an online fishing license. 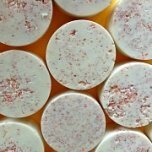 Scroll down to the bottom of the page on their website for all the different fishing regulations. Go to Florida Sportsman for information about fishing, and for fishing reports, guides, videos, shows, tournaments, and more. For information on how to line a reel, rod and reel care, how to rig different kinds of bait, clean fish, the use and care of cast nets, and more, go to Florida Fishing Insider. There are so many options: deep sea fishing, flats fishing, saltwater fishing, inshore fishing ......... fishing in lakes, the beach, and canals. 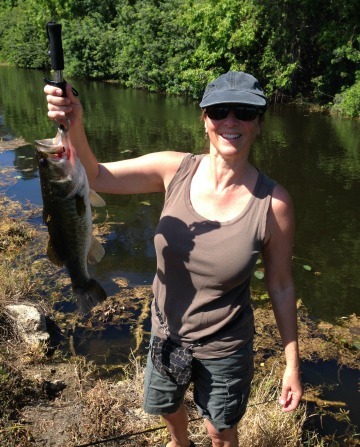 I caught this 3-lb bass in a canal! I caught this 1 1/2 pound bass in the lake behind my house! Whatever you do, when you come to Cape Coral fishing should be put on your list of things to do!